“Life in England” is the first book in our series. This downloadable ebook is accompanied by an audiotrack which gives you the opportunity to hear the words used just as they are in the real world so that you may learn naturally and without effort. 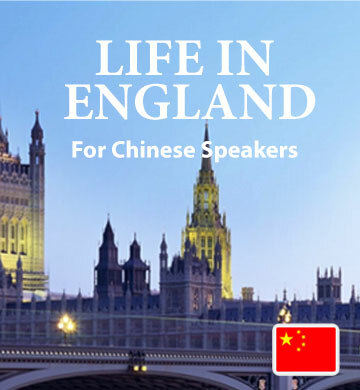 Written for Chinese speakers, it contains enjoyable stories drawn from real life situations. Each story will establish new vocabulary words in their everyday contexts. When you download this book, you’ll also get the Easilang mobile app, which will allow you to learn at your convenience.